Taurus Season Horoscope - What You Can Expect This Taurus Season? Under fiery Aries, you might have been in the realm to change the things. But, now Taurus urges you to embrace a cautious approach and seek the path that could balance your life professionally as well as personally. This time will compel you to focus on the basic needs and day to day work. Unlike Aries season you may not take impulsive decisions anymore and will take every decision with a lot of thought. Even if you think of changing your career and are bored of your current situation, make sure you give it a second thought, analyze all the things with a strong practical approach and then take a call. This will be the time for a change so try not to dwell in the past and seek a resolution to get over it and move on. With Bull as the symbol of Taurus, you might not feel the need to change your ways and habits for anyone. You will refrain from coming out of your comfort zone which can be a setback for your career. In this season, you will have to make efforts to come out of your shell and then only you will see things running in your favor. Clinging onto just one thing or one option will not do you any good. Let go of your habit of controlling everything and let certain things happen on their own. You might just get attached to a single thing which can prove adverse for you. Venus rules the Taurus which will enable you to express your emotional and sensual side throughout its season. Despite the Moon effect over the emotional security, the reigning Venus will take over the season with its feminine qualities. You may indulge in leisurely activities and materialistic pleasures. The season will show exaltation of beauty, aesthetics, refinement, and romance. Expression of sensual side and love may combine with the earthy desires to enable you to look for the pleasures of the physical world. According to love horoscope, you may be feeling leaving your empty soul and expect love to bloom in your life. This means dumping your bitter past and toxic people around you. Taurus rules your senses and compels you to ask yourself: what can bring happiness in your life? How can you nourish yourself and people around you? During Taurus season, allow yourself to take care of yourself and enjoying the life’s delight. Taurus season is all about stability and steadiness. It’s a time for dependability and ensuring one’s security in terms of all aspects of life. Earthy sign of Taurus reflects the treasure that it comprises beneath the layers of time. 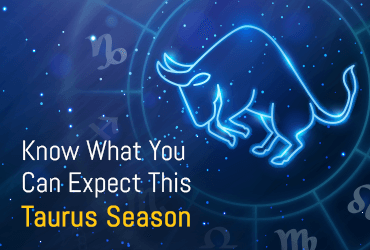 So, set your expectations and decide your planner according to the Daily Horoscope Predictions in these four weeks of Taurus in order to make the most of this leisurely season.